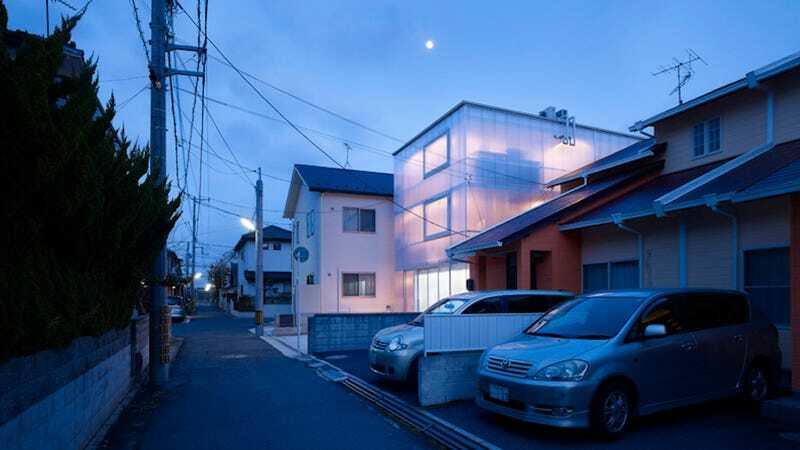 Wouldn't It Be Fun to Live in a Translucent House? Walls are too restrictive. They put up a barrier between you and the outside world—sometimes that's a good thing—but they also block natural light. So why not make them just a little bit translucent—you know, to brighten things up a bit? That's exactly what architects at Suppose Design Office recently did for a family home in Hiroshima, Japan. Because the site where the house was to be built was surrounded by buildings on three sides, they decided to use translucent walls to provide natural light inside the home but in a way that would still afford some privacy. The rest of the structure is made up of an I-beam frame, concrete ceilings, and timber floors, giving the whole house a stark, simple, and almost industrial look.